Aircraft system (redacted). 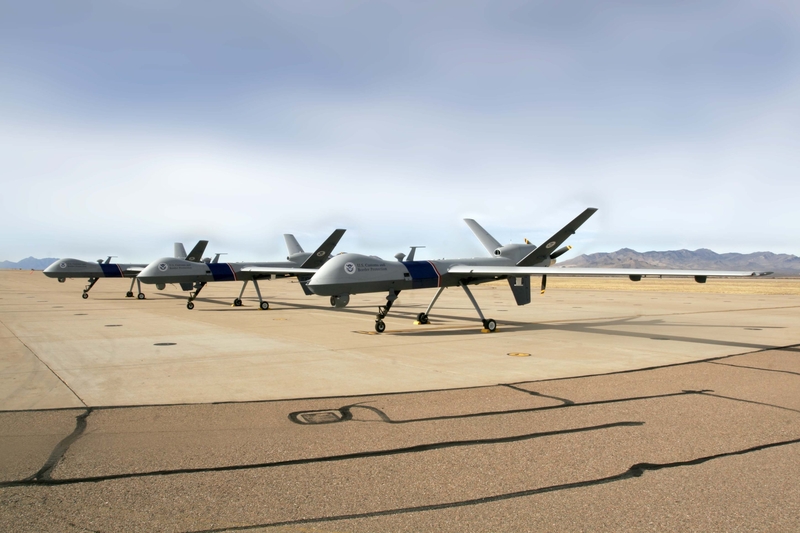 Customs and Border Patrol air and marine COA request relating to a Predator B/MQ-9 drone. Exemption 7 redactions. COA form (redacted). “This is a COA request for a transit of CBP’s Predator B UAS from (redacted) to Whitman Regional Airport (KOSH) for the EAA Airventure Show in Oshkosh, WI. On completion of the Air Show, the UAS will transit back to (redacted. )” The COA was sought under the purview of U.S. Customs and Border Patrol operating from March Air Reserve Base in California. COA status document (redacted). Certificate of waiver of authorization (2009-CSA-40) to operate a drone from the FAA. States terms of operation, including the use of visual observers on the ground or in a chase plane. COA system image. Photo of CBP drones on the tarmac. Communications (redacted). Redacted details of radio and satellite communications. Control station (redacted). Redacted details of control station. ELEC systems (redacted). Redacted notes regarding electronic surveillance and detection equipment. Available details describe a “nose forward EO/IR camera,” plus other cameras and transponder devices. Emergency Procedure (redacted). Redacted details of procedures to follow in the event of a lost link, lost communications, or flight termination. Flight operations map (redacted). Redacted map. Launch recovery (redacted). Redacted details of launch and landing. Lost communication (redacted). Redacted details of procedures to follow in the event of a lost link, lost communications, or flight termination. Lost link mission (redacted). Redacted details of procedures to follow in the event of a lost link, lost communications, or flight termination. No certificate (redacted). Letter of November 2, 2007 to Douglas Davis of the FAA from an unknown individual in the U.S. Customs and Border Patrol. (The name of the letter writer has been redacted.) Letter sets out CBP’s attestations regarding the airworthy nature of its fleet of Predator B drones. Letter details the evaluation steps taken by CBP, and states that the initial test plan is developed by the drone contractor. TSO redacted. Redacted notes regarding aircraft system components.